The last page for Someday came in today and I have to say that it is looking great. I plan on getting it lettered and printed as a mini-comic, but I will probably post it here when it is finished. I know things have been slow. 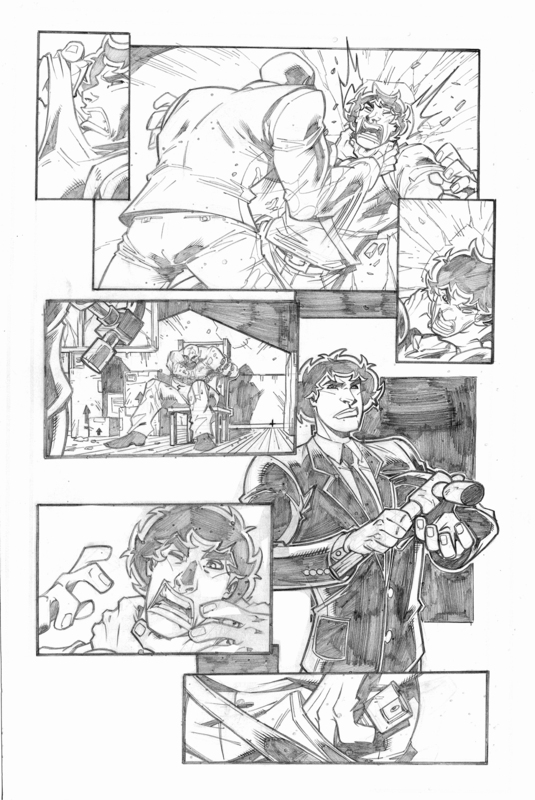 Also, Diego sent some awesome pencils for Clusterf@#k #5. With Issue #4 coming out next Wednesday, things are falling into place.